We simply can’t say enough about the good that comes from learning in nature. 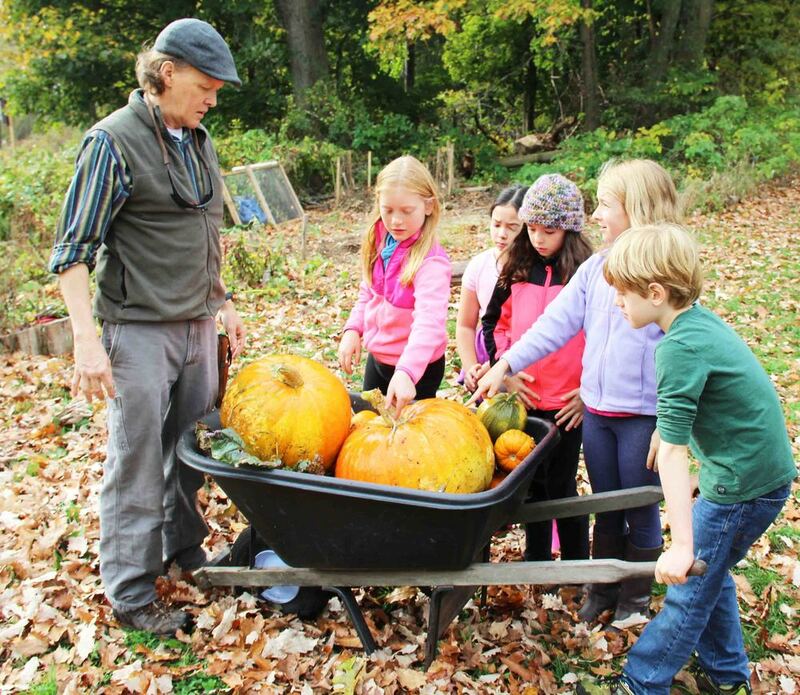 Outdoor exploration, gardening, and farming programs are essential components of the experiential curriculum here at Waldorf School of Lexington. We strive to foster in children a close bond with the natural world. In our beautiful biodynamic garden, students are introduced to principles of planting and growing that will later be explored in the curriculum through botany, geology, and meteorology. Students plant and cultivate flowers and vegetables and observe flora and fauna in the nearby Great Meadows conservation land—183 acres of meadows and marshes in our backyard. Students also learn from the school’s beehives and student-built “pollinator hotel” for native bees. In grades 3–6 grade students take a week-long trip to Hawthorne Valley Farm, where they participate in the day-to-day work of a biodynamic farm: planting, weeding, mucking, and feeding the farm animals. These weeks provide an unforgettable foundation for the sciences and for life. In grades 7–8 students spend several days at either Hulbert Outdoor Center or Hurricane Island Center for Science and Leadership doing environmental science and team-building activities. At WSL, kids garden, compost, and explore the 185-acre Great Meadows conservation land. “The more high-tech we become, the more nature we need.” —Richard Louv, author of Last Child in the Woods and The Nature Principle.